Guess who got the biggest pile! 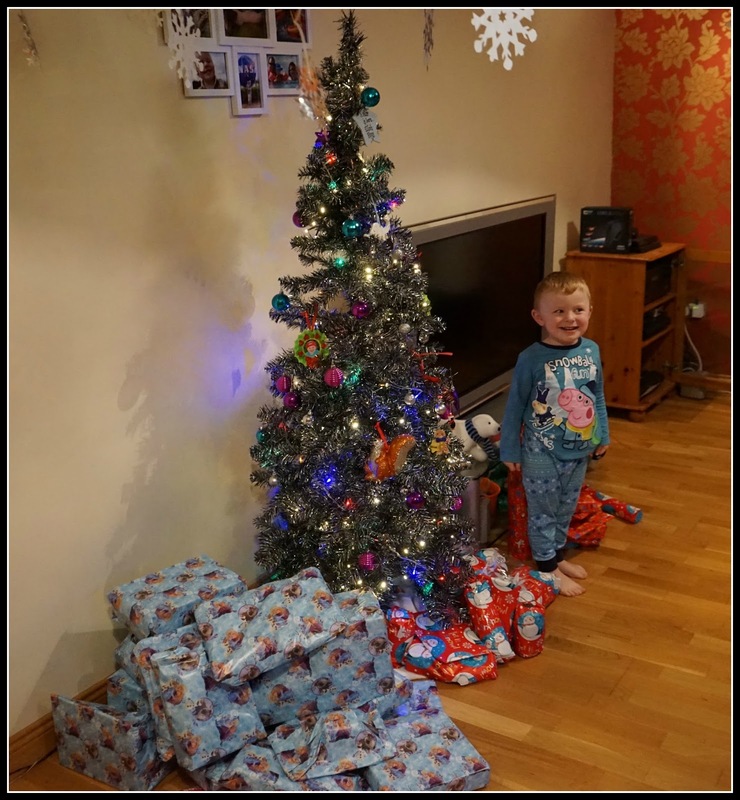 Elliot couldn't wait to tackle the presents and it didn't take long for our floor to be covered in a sea of wrapping paper and discarded boxes! My husband did a good job of present buying this year, I got some lovely Yankee Candles, a giant Lindt ball and a voucher for Yours Clothing and some other bits and bobs. Normally he'll be one of those men rushing round Tesco the day before Christmas so I'm glad he was marginally more organised this year! We had a lovely Christmas Dinner cooked by my hubby and then spent the afternoon with my family. More presents for Elliot, more chaos, more food! My parents gave Elliot a Clangers set, he was so pleased, he's been talking about it non-stop since we saw it in Smyths last month. It's funny because he's not that into the programme but was so taken with this little set - this will be one of his favourites for a long time I'm sure. 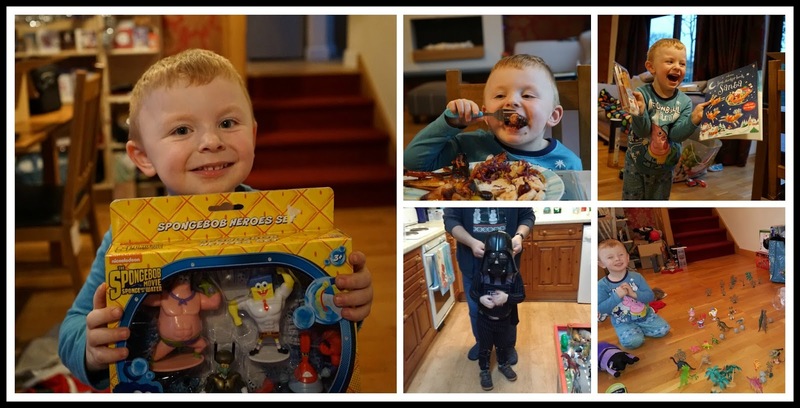 One of his other favourite presents was a set of Darth Vader pjs, complete with mask! The rest of the day was spent visiting family, eating party food and then finally vegging out in front of the telly once Elliot was tucked up in bed. Such a tiring day! Unfortunately the Christmas germs descended on us on Boxing Day and apart from a quick visit to the Lush sale , we pretty much hibernated for the next few days. Aside from feeling rubbish, it was actually quite nice to spend some family time together...be it surrounded by snotty tissues and inhalers! We watched lots of films, did lots of puzzles and I even managed to find homes for most of Elliot's new toys. By the time Tuesday rolled around, it was time for my husband to go back to work. For me it was that wierd limbo time between Christmas and New Year when not alot happens and you have no clue what day of the week is it! Desperate for a bit of fresh air after being cooped up, we headed to our local park with my Mum and Elliot couldn't have been more excited about being outside! I've been coming to this particular park for years since I was a kid so it's nice to bring Elliot here and he loves playing on the beach. 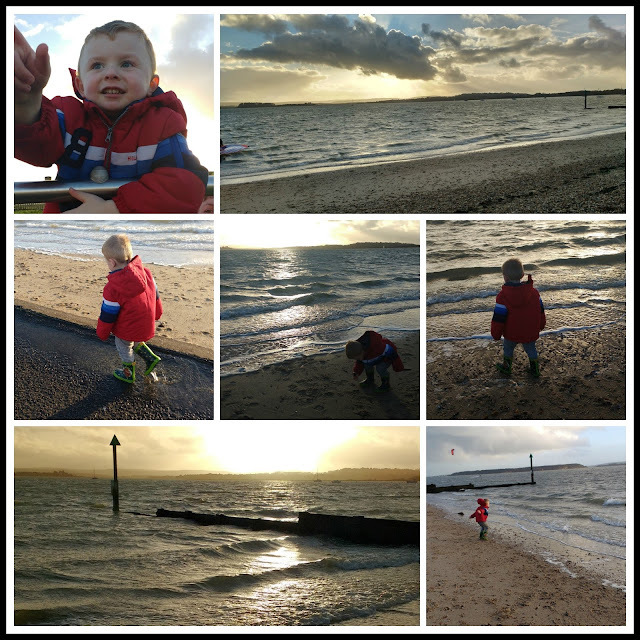 He spent ages lobbing stones into the sea! The fresh air did us the world of good and it was great to blow away the cobwebs! 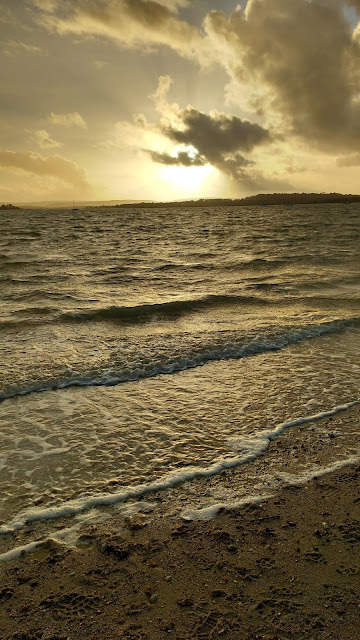 With New Years Eve now upon us, I'll be taking a look back at 2015 in my next post and looking forward to 2016 and all it may bring!